August 4 was the first day of the NYC Summer Streets for 2012. From 7 am to 1 pm, for the first three Saturdays of August, nearly seven miles of New York City's streets along Lafayette Street and Park Avenue will be opened up for everyone to play, run, walk and bike. Walking on a vehicle-less street is an offer I couldn't refuse. 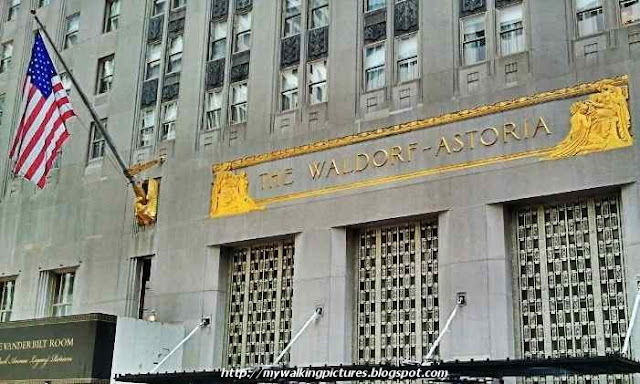 I started at the corner of 28th Street and 6th Avenue, then walked crosstown towards Park Avenue. 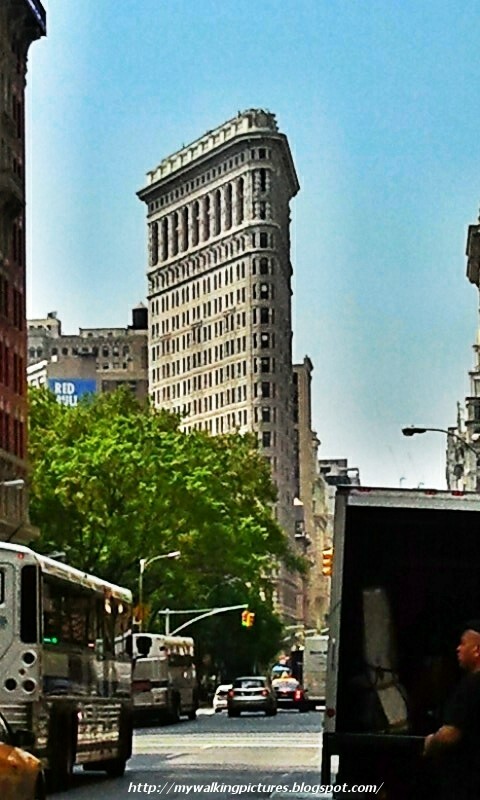 While at 5th Avenue waiting for the walk sign, I looked south and saw the Flatiron Building. Looking north, my view was the Empire State Building and the clock tower of the Marble Collegiate Church. 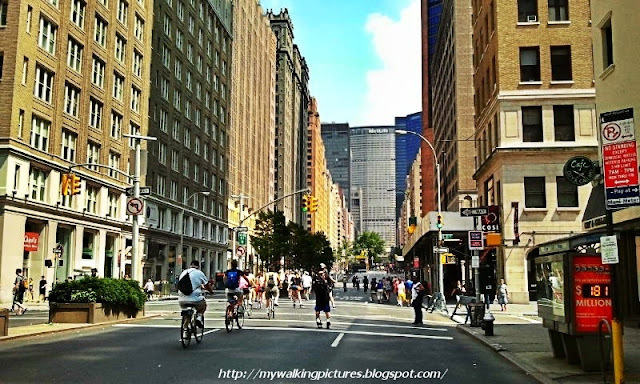 Walking onward, I reached Park Avenue and saw people walking while some were jogging or in rollerblades. There were a lot of bikers, too. It was unusual to see Park Avenue free of vehicles, but a joy to walk on. 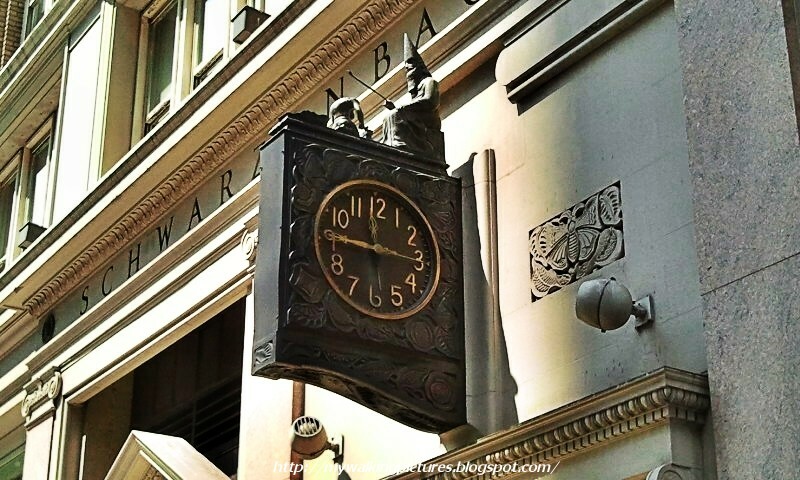 At the Schwarzenbach Building between 31st and 32nd Streets, I saw the Silk Clock or Wizard Clock. Walking further I had another awesome view of the Empire State Building taken from 33rd Street. 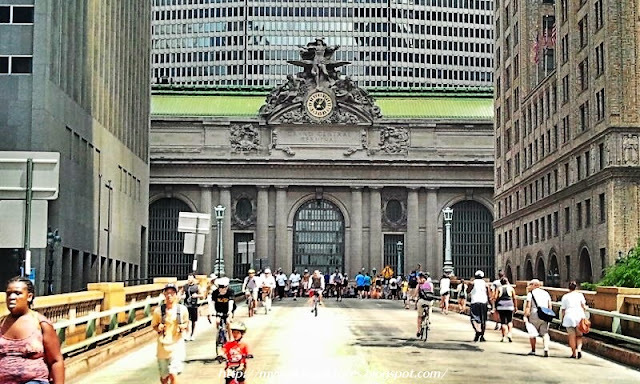 From 40th Street to 46th Street along Park Avenue is the Park Avenue viaduct which provides a pedestrian-, bicycle-, and bus-free express route for taxicabs and other automobile traffic. 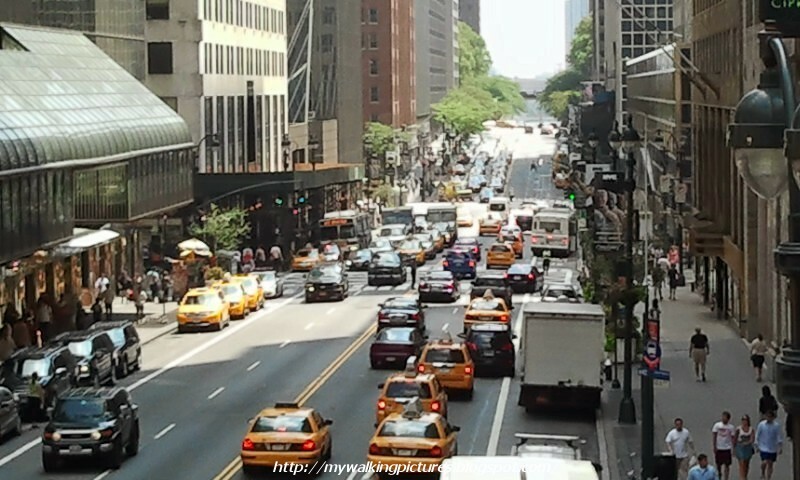 That Saturday, it was the other way around as the viaduct was vehicle-free and full of pedestrians and bicycles. From the south, traffic from Park Avenue or the Park Avenue Tunnel enters a ramp which rises a "T" above 42nd Street, over the street-level entrance to Grand Central Terminal below; side lanes of Park Avenue descend from 40th to end at 42nd Street. The elevated roadway then passes in front of Grand Central Terminal and around it to the east, passing the MetLife Building and descending again to ground level through the east portal in the Helmsley Building, arriving at 46th Street. Traffic coming from the north reverses this pattern. 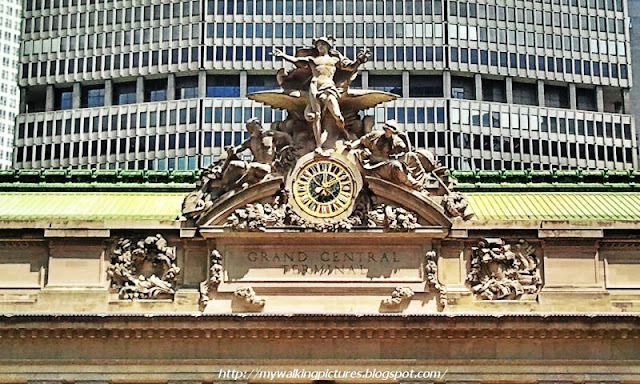 The beautiful clock on top of the Grand Central Terminal's facade featuring Mercury, Hercules and Athena carved by the John Donnelly Company, and designed by French sculptor Jules-Felix Coutan greeted us as we came up the ramp. Here's a closer look ..
That clock contains the world's largest example of Tiffany glass. At the time of its unveiling (1914) this trio was considered to be the largest sculptural group in the world. 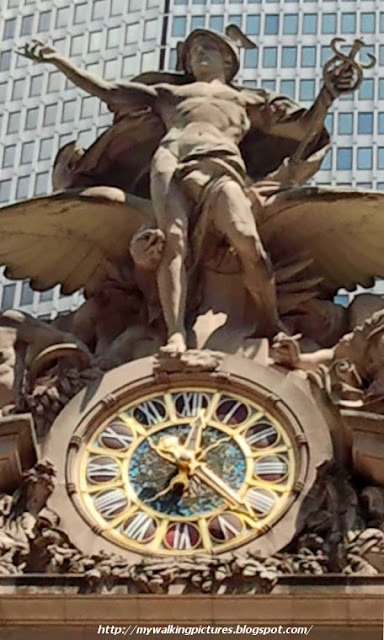 It was 48 feet (14.6 m) high, the clock in the center having a circumference of 13 feet (4 m). This clock is at the facade of Grand Central Terminal along 42nd Street. 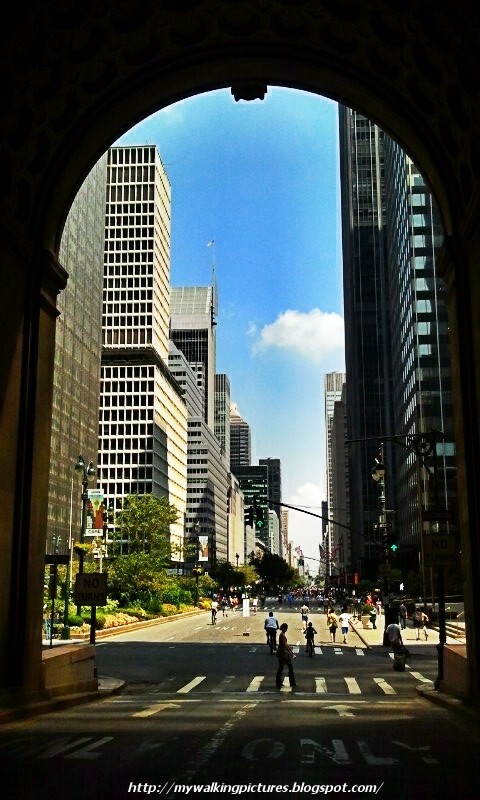 Standing on the ramp, here's my view of 42nd Street looking east. 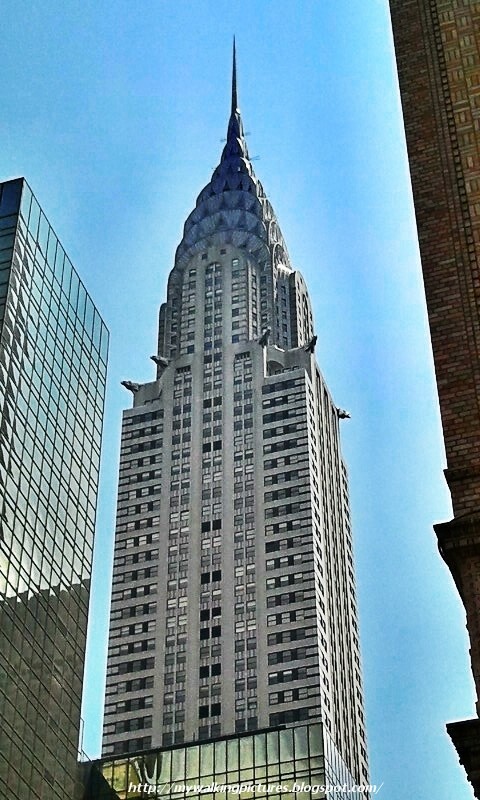 If you look up from the street view, you can see the eagles jutting out near the top of the Chrysler Building. 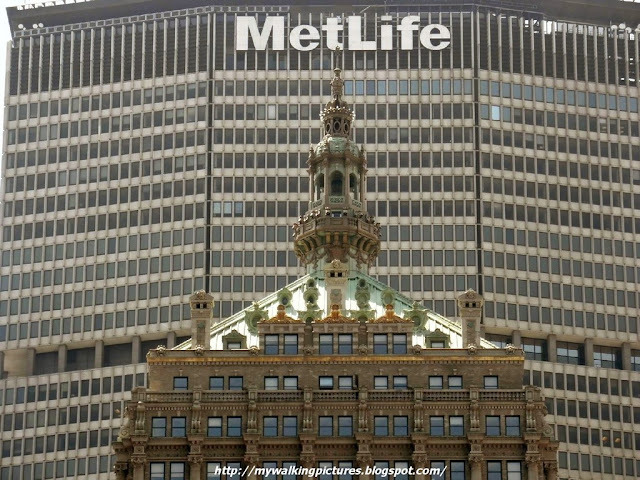 And at ramp level is another beautiful building, which used to be the Bowery Savings Bank but now houses a Cipriani's restaurant. 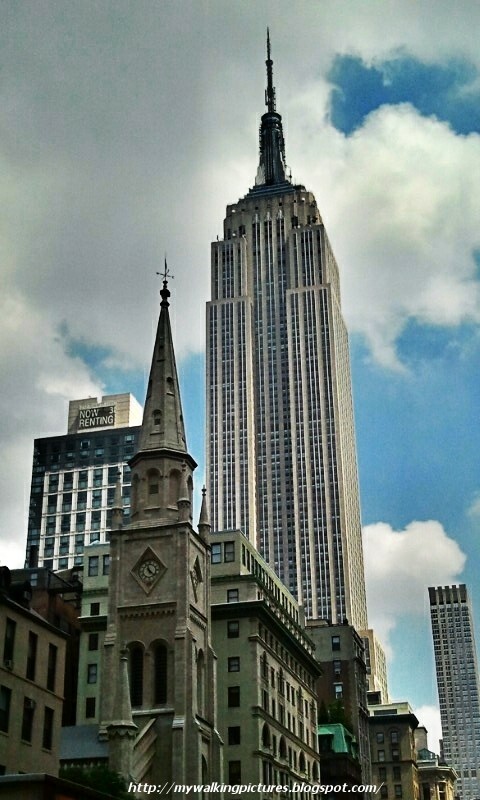 The building was designated a New York City landmark in 1996. 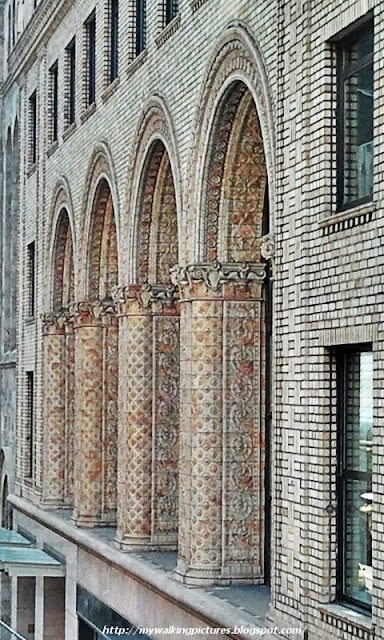 Here's a shot of the building's arches. 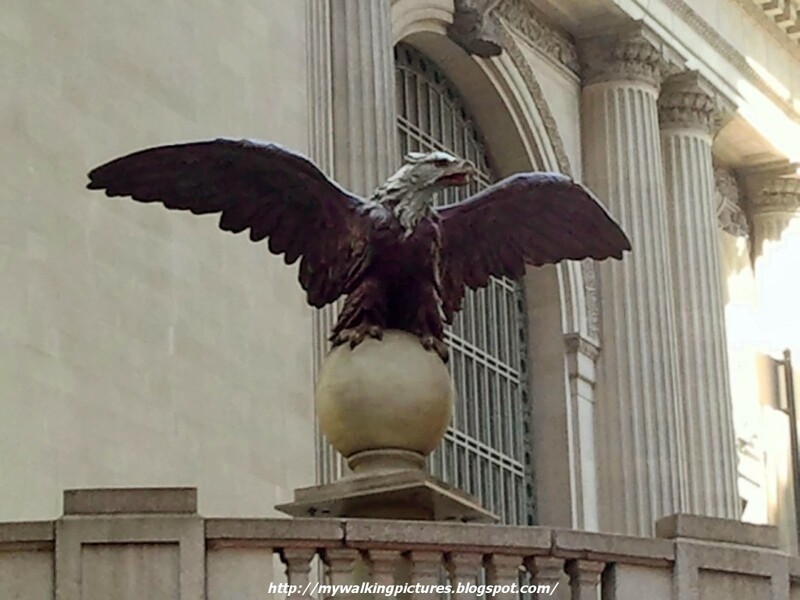 You can see one of the cast-iron eagles at the east side of the elevated roadway but since I decided to walk on the west side of the viaduct, I wasn't able to take a pic of the eagle. Here's a pic I took of the eagle some months ago. 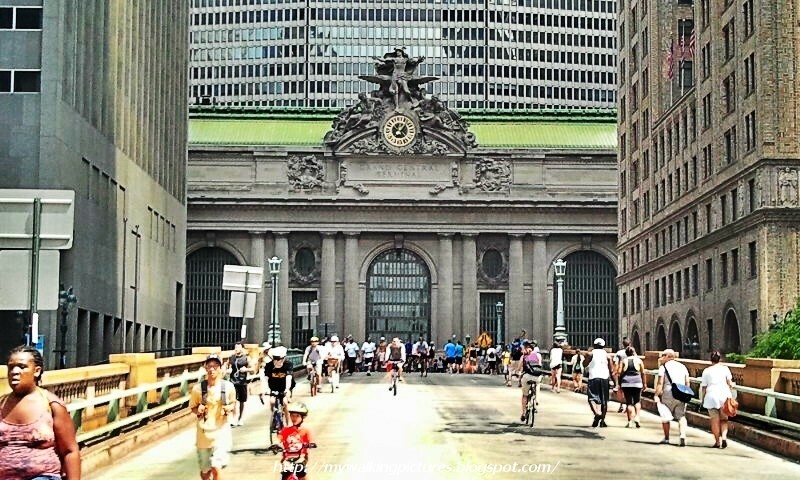 I exited the eastern part of the Park Avenue viaduct through the Helmsley Building back to ground level, with the building's arches setting a nice view of Park Avenue. Getting back into the street level of Park Avenue, I looked back to take a pic of the clock at the facade of the Helmsley Building. After walking a few blocks, I came upon the Waldorf-Astoria Hotel. Look closely and you can see the gold eagle decorating its flag holder. 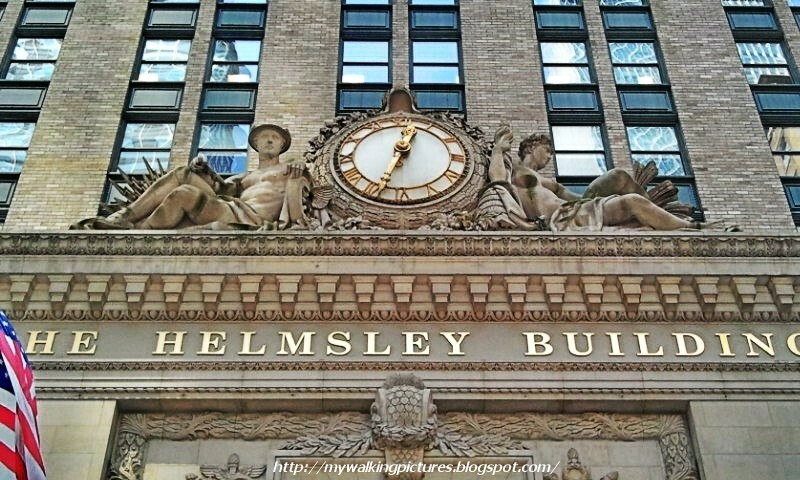 And looking back again at the Helmsley Building, I can now clearly see its tower from where I was standing. A couple of blocks away is historic St. Bartholomew's Church. 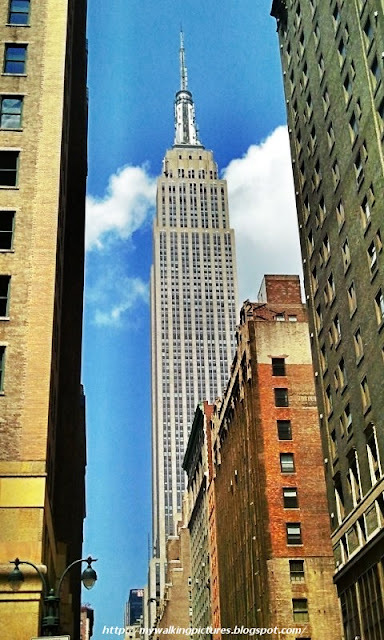 The Cippolino marble used in its columns is unfit for New York’s climate and it has weathered badly. Hopefully, there is some restoration work done. 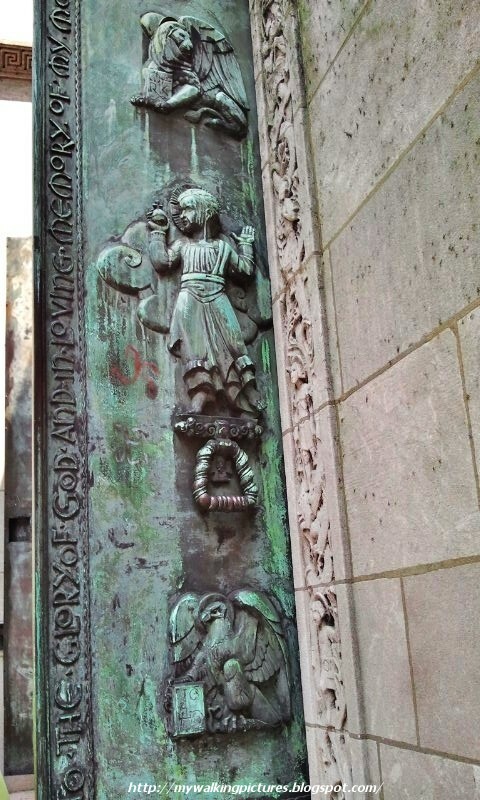 Here's a pic of one of the church's bronze baptistry door along Park Avenue. 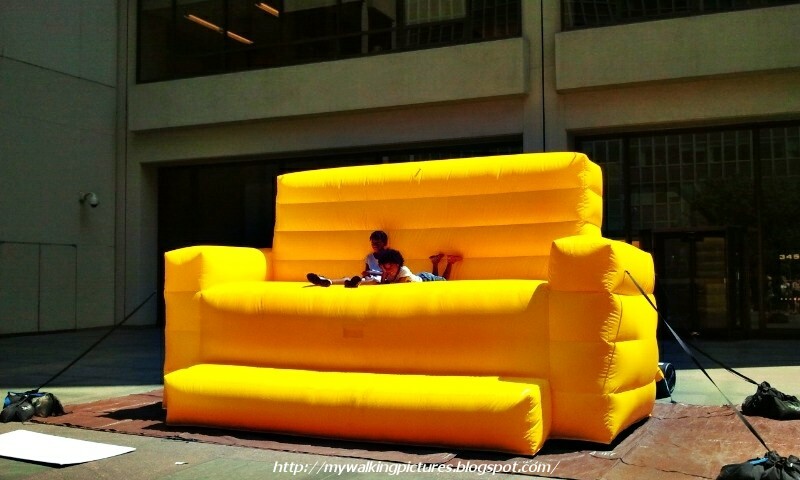 Walking further I saw some kids enjoying a huge inflatable chair in one of the buildings along Park Avenue. Guess it would make a good present to your couch potato friend. 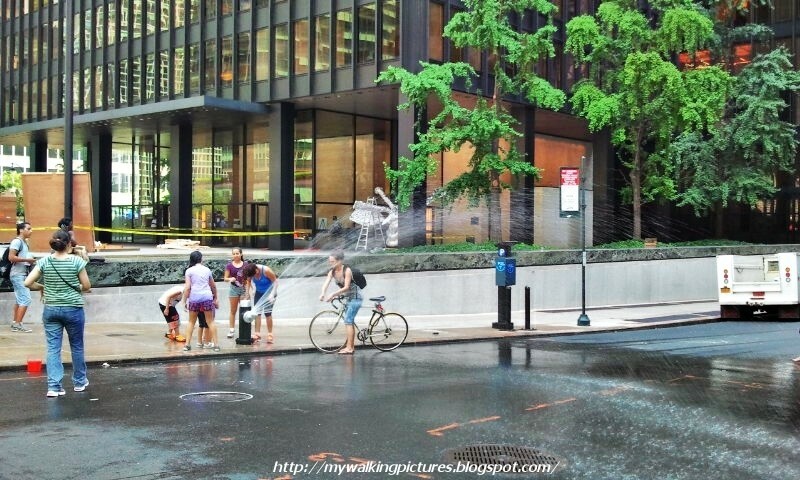 In the same area, I passed by an open fire hydrant and some folks were enjoying the summer day getting wet. By this time I was near the Seagram Building where Park Avenue's newest public art can be seen. 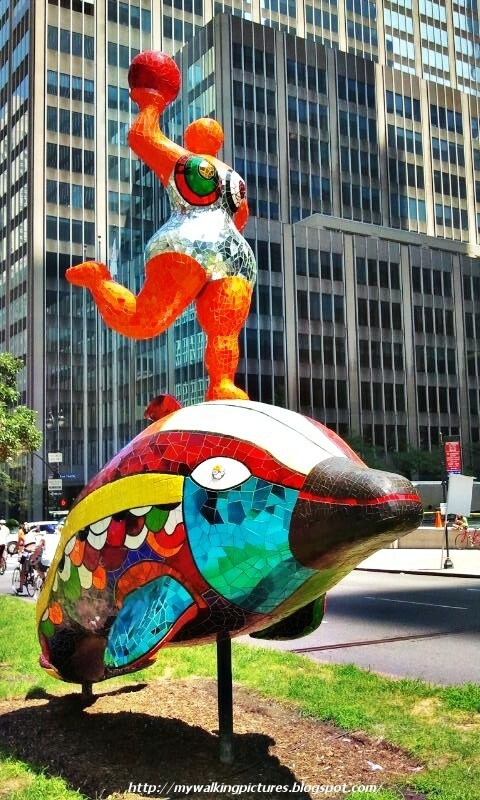 It features nine colorful gigantic works of Niki de Saint Phalle. This is the first sculpture I came across, you can see and read about the rest on my previous blog. After I got to the end of the Niki de Saint Phalle exhibit, it was already past 1 pm and traffic along Park Avenue has resumed. However, I still continued walking up to 72nd Street in Central Park but instead of walking straight ahead along Park Avenue, I detoured to Central Park when I reached 60th Street. 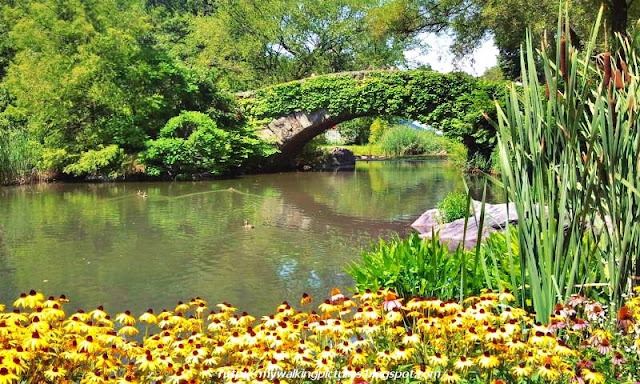 That's the southeast part of Central Park where you can see the Pond and Gapstow Bridge. 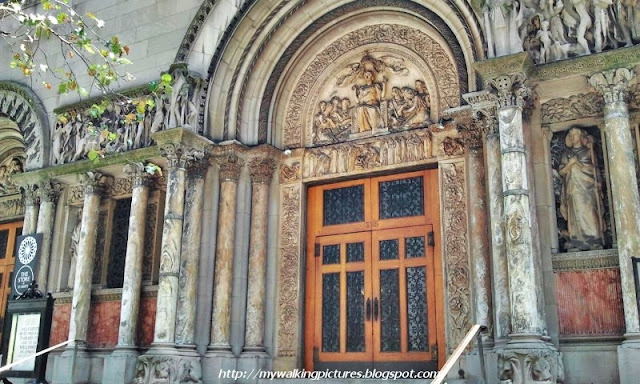 I walked past many familiar places which I featured in some of my previous blogs. 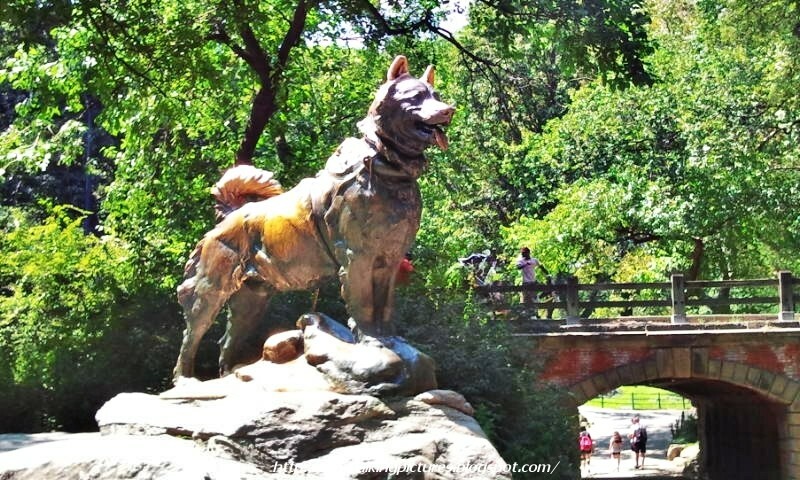 On the way, I passed by the statue of Balto and couldn't resist taking a pic. 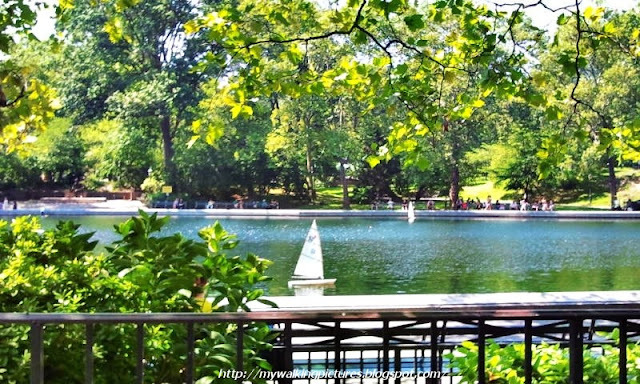 The NYC Summer Streets ended at 72nd Street in Central Park which is near the Conservatory Water. I stopped there to have lunch at the Kerbs Ice Cream Café and watch the toy boats idly pass by. It was a tiring walk but made worthwhile by all the wonderful things I saw along the way, and most importantly, just by the sheer joy of walking. 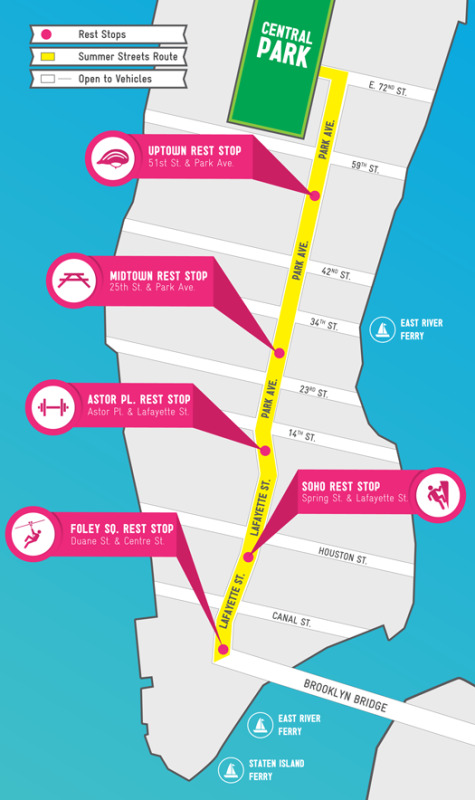 The NYC Summer Streets ended last August 18. I wasn't able to participate on the other Saturdays but I'm planning to walk again next year, hopefully, a longer one than my walk the first Saturday of August.